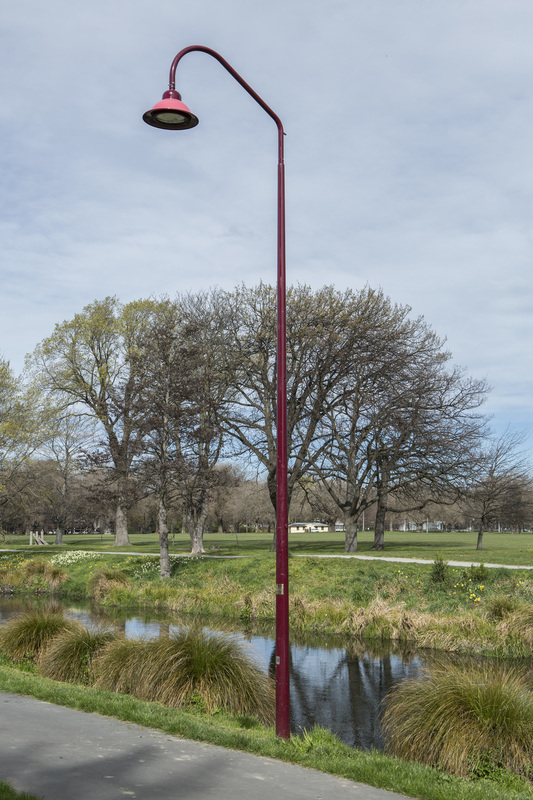 The 12th of 21 street lamps to be installed as part of Mischa Kuball’s Solidarity Grid. It was installed in September 2015. 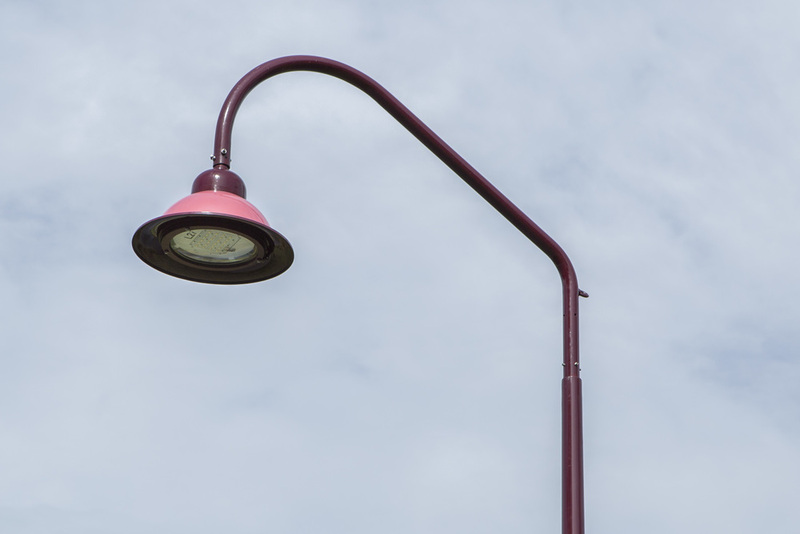 Singapore has donated a lamp authentic to its suburban streets to Solidarity Grid. The overhanging, red, bubble-cup design provides a unique silhouette along the Park Terrace trail. 2015 marks the 50 year anniversary of New Zealand's relationship with Singapore through the ASEAN Free Trade Agreement. Sharing trade and defense links, Singapore came to the aid of Christchurch following the February 2011 eathquakes, with Singaporean Air Force troops participating in search and rescue efforts. Singapore is a city-state, a bustling 63-island country in Southeast Asia. A leading financial centre; its corporate skyline, high-tech nature, meritocratic beliefs and multicultural population make it a socially and commercially progressive environmen. A popular spot for gambling, shopping and dining it is considered a glamourous and modern city.